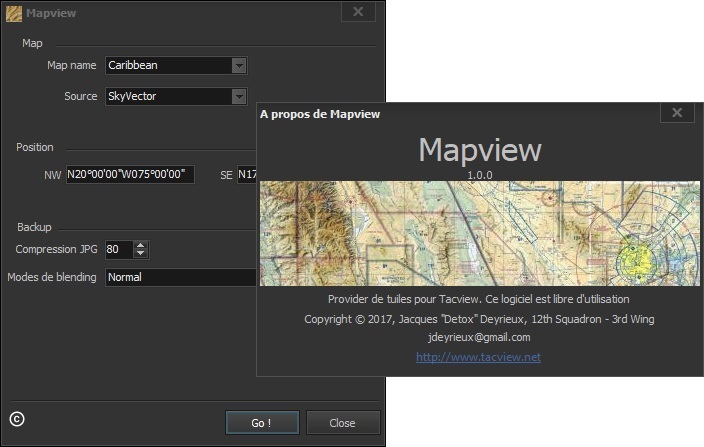 Jacques ‘Detox’ Deyrieux has just released Mapview 1.0.0, a great program to create VFR maps for Tacview in just a few minutes! Simply add the region of your choice in the maps.ini file (do not forget to add the region in the GLOBAL section of the ini file). Launch Mapview. Adjust some of the parameters, and click [Go!]. Three new jpg textures modes have been added to Tacview 1.7.0 beta 2: adaptive black & white, adaptive color, and transparent. They will be available soon, till Tacview 1.7.0 beta 2 is released, make sure the blending mode is set to [Normal]. The next version of this wonderful program will be able to generate maps with OpenStreetMap as well as orthophoto from Bing maps! 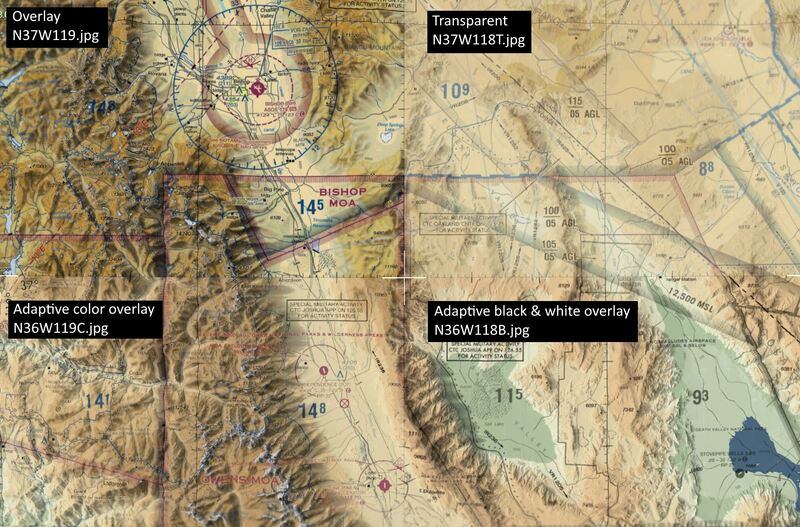 Re: Create VFR maps for Tacview in just a few minutes! I can't seem to download the sectionals via Skyvector in the app. Is there a way to fix this? My apologies for the delay Bloodstripe. I have contacted Detox on that matter and waiting for his answer. US uses VBS3 to create Stryker simulation. (Resolved)How do you create a Computer Opponent Plan File? What's a nice game to create a tribute website/fansite to?